Our Herringbone iPad Mini Case with a classic red monogram will help your iPad stand out in the crowd without screaming. 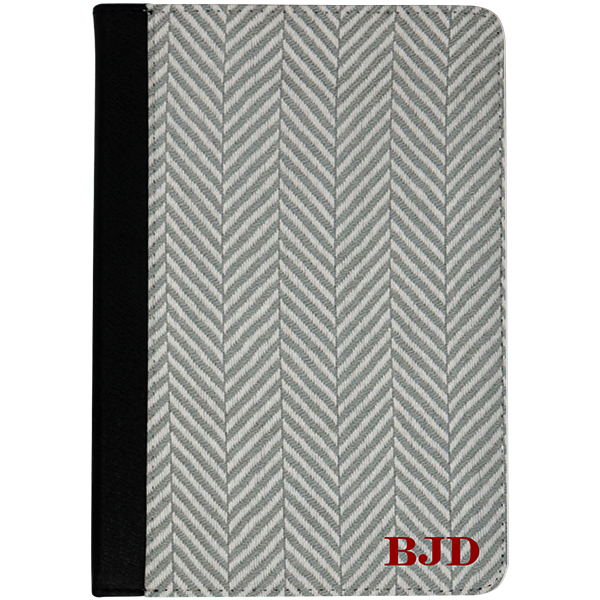 Our Herringbone iPad Mini Case with a classic red monogram will help your iPad stand out in the crowd without screaming. Our case measures 5.75"x8" so it fits your iPad Mini securely. All our products are made in the USA. A monogram adds a touch of personalization.